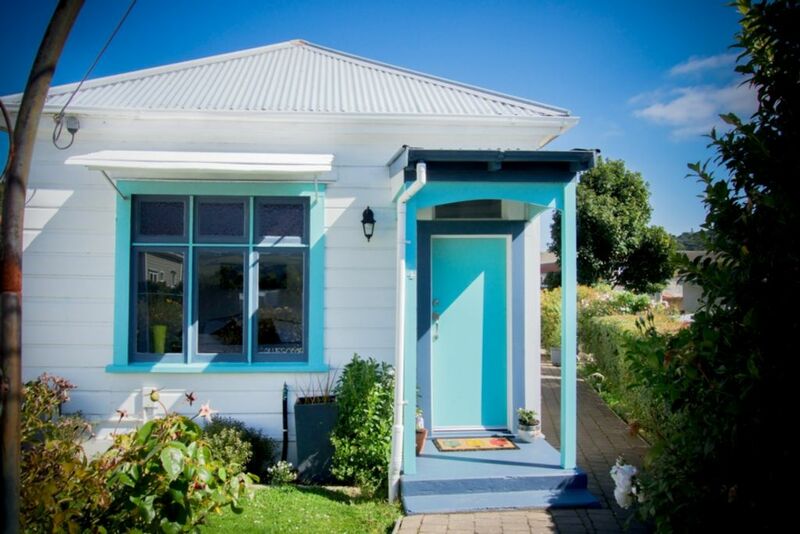 A gorgeous cosy, warm, sunny house on the flat part of the Guinness Book of Records "Steepest Street in the World". It's fun to see if you can walk all the way to the top. There is a sunny patio and garden and off-street parking. The lounge room has comfy couches, a High Def tv and sliding doors to the outdoor area. The dining area seats 6. Both bedrooms have heating and electric blankets. The kitchen has a breakfast bar, a full size fridge and oven, microwave, pots, pans, cooking utensils and condiments. The bathroom has a washing machine, dryer and good hot water pressure for a lovely warm shower. Baldwin street is a fun place to visit, it's in the "Top 20 Things To Do" in Dunedin on TripAdvisor. The house is also close to other attractions in Dunedin, the University and City Centre. Do not park in front of neighbours' driveways. Turn off heaters whenever you leave the house. Large heater in the living area. Heaters in both bedrooms and the bathroom. Carpark for you right outside the front door. Sliding glass doors open out from the living area onto a very sunny outdoor sitting area in the garden. Lovely property, with a wonderful quirky atmosphere. We really enjoyed our stay and would visit again. Lovely cute lil old house, plenty of heaters to keep you warm on a winters day. Loved our stay here, cute wee house with everything you need. A unique experience - to stay at the bottom of the Steepest Street In The World. 15 minute walk to shops and the Botanic Gardens.